Great dental health takes more than brushing and flossing. Regular checkups and dental cleanings are crucial to achieving the highest levels of health for your mouth, and your total wellbeing. Finding the right Greece general dentist can be a bit overwhelming with so many options available, so how can you make the best choice? The relationship you build with your general dentist can make all the difference. You need an experienced dental professional like Dr. Paul Sussman or Dr. Meredith Pogal who can provide optimal preventative care as well as the best treatment for any conditions you may have such as TMJ disorder. Closely examine the reviews page on your prospective general dentist’s website. If you are looking for an experienced Greece general dentist in the New York area, please contact the office of Dr. Paul Sussman and Dr. Meredith Pogal by completing the form on this page, or by calling 585-227-4390 to schedule an appointment. We welcome patients from Webster, Rochester and neighboring areas of New York. October. The temperatures begin to cool, leaves begin to change and kids excitedly plan their costumes for Halloween. October is also National Orthodintic Health month. Our Greece orthodontics practice would like to wish you a fun and safe Halloween, and offer some tips to help keep your family’s mouths strong, clean and healthy. Candy is a traditional reward for braving the cold night, walking door-to-door, ringing the doorbell and in unison asking “Trick or Treat?” While kids hungrily eye those bowls full of candy, parents are wondering, what is the damage all that sugar will do to my children’s teeth? If you live in the Greece area and are in need of orthodontics care, contact Dr. Paul Sussman and Dr. Meredith Pogal today online or at 585-227-4390 to schedule your consultation. With more than 30 years of dental practice experience, we are here to meet your child’s dental needs. We welcome patients from Rochester, Webster and surrounding areas of New York. Although straighter teeth and a better bite can benefit many high school students, the prospect of attending class with a mouth full of metal braces can discourage kids from getting the treatment they need. For many teens in Fairport, Invisalign® offers a welcome alternative to conventional braces. Instead of using traditional brackets and wires to correct crooked, crowded or gapped teeth, Invisalign® orthodontic treatment involves the use of removable plastic trays. Each aligner tray is customized to fit the patient’s unique bite. While often classified as “adult” orthodontics, Invisalign® can be a suitable option for children as young as 13 years old. No restrictions on what you can eat, since the aligner trays can be removed at any time. Aligners will not interfere with extracurricular activities such as music or athletics. Self-confidence is improved for social, academic and formal events. Aligners are nearly unperceivable to the naked eye or camera lens. Traditional braces can sometimes take up to two years to straighten teeth and correct bites. Most Invisalign® patients complete treatment within only a year. Invsialign® is not right for everyone, so it’s important to meet with our Rochester dentist for an evaluation of your child’s Invisalign® candidacy. If you have a child suffering from tooth alignment or bite issues in Rochester or Fairport, Invisalign® could be an ideal solution. Contact the office of Dr. Paul Sussman and Dr. Meredith Pogal today by completing the form on this page, or by calling 585-227-4390 to schedule an appointment. The American Dental Association recommends that every day, you brush your teeth twice and floss once. 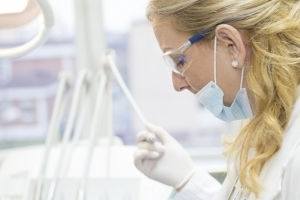 Assuming you meet these basic requirements, and suffer no discernable dental issues, is it really necessary to visit your Greece general dentist twice a year for routine dental check-ups? The answer is yes! Catching symptoms early can help save you money and avoid discomfort. Visiting Dr. Sussman or Dr. Pogal twice a year helps prevent small problems from becoming major issues. Our Greece general dentist is committed to providing you with the exceptional dental care you deserve. Don’t put off another appointment until next year, or wait until a serious dental crisis develops. If you live in Greece, and want to schedule a check-up with our experienced general dentist, please contact the office of Dr. Paul Sussman and Dr. Meredith Pogal by completing the form on this page, or by calling 585-227-4390 to schedule an appointment. We welcome patients from Rochester, Webster and surrounding areas of New York. If you’ve worn dentures in the past, you’re probably familiar with their less desirable shortcomings: instability, agitation along the gum line, food restrictions and the need for messy adhesives. For many people in Fairport, dentures are an imperfect, albeit practical, solution to significant tooth loss. Implant-supported dentures, on the other hand, offer patients a more comprehensive way to restore lifelike smiles and functionality to mouths missing several or all of their teeth. While a single dental implant usually only reinforces a solitary crown, multiple implants can support an entire denture prosthesis, replacing a full row of lost teeth. Not everyone is an ideal candidate for dental implants. Implants need to be placed within a healthy bone structure. If you suffer from complicated dental issues, or if your jawbone is not dense enough to support an implant, other dental options may better match your needs. At your initial consultation, our experienced implant dentists will assess the current state of your oral health and implant candidacy and help you determine which treatments will meet your personal goals. If you live in Fairport and would like to learn more about implant-supported dentures, contact the office of Dr. Paul Sussman and Dr. Meredith Pogal by calling 585-227-4390 or by completing the form on this page to schedule an appointment. We proudly serve patients from Greece, Rochester, Webster and surrounding areas of New York. There are several reasons why our patients from Rochester and Greece prefer Invisalign® orthodontic treatment over traditional metal braces. One of those reasons is the Invisalign® system’s ability to fit each person’s lifestyle. A key difference between Invisalign® treatment and fixed braces is freedom. Braces are attached to the teeth throughout the duration of treatment. However, Invisalign® uses removable plastic aligner trays to properly adjust your bite. Wear your aligners for approximately 20 to 22 hours every day. Remove your aligner trays before brushing your teeth, playing sports or eating a meal. Once you’ve worn an aligner for two weeks, dispose of it and begin using a new tray. Schedule an appointment with Dr. Sussman or Dr. Pogal every six weeks so the progress of your treatment can be assessed and you can get your next set of aligners. Invisalign® treatments are uniquely customized to address your personal goals and oral condition. Although Invisalign® require less time and maintenance than traditional braces to properly correct the appearance and alignment of your teeth, the system still requires diligent care to achieve your desired results. If you live in Greece and would like to learn more about how Invisalign® can help your smile, contact the office of Dr. Meredith Pogal and Dr. Paul Sussman online or at 585-227-4390 today to schedule your appointment. We welcome patients from Rochester, Webster and surrounding areas of New York. For some of our patients in Rochester, sedation dentistry is an excellent option for easing dental anxieties. Dr. Sussman understands that not everyone is completely comfortable when sitting in the dentist’s chair, and your personal safety is always a top concern. The anti-anxiety sedatives we offer, such as diazepam and triazolam, calm you without rendering you unconscious. In your deeply relaxed state, you will be able to respond to simple requests such as moving your head or opening your mouth while our dentist performs the needed dental procedures. During your sedation treatment, you will be closely monitored at all times as Dr. Sussman follows the established safety protocol developed by the Dental Organization for Conscious Sedation (DOCS). It's important to discuss your medical history with Dr. Sussman prior to your treatment and disclose any allergies you might have. For some of our Rochester patients, sedation dentistry isn’t just safe, it’s recommended specifically to ensure your safety. People with heart disease, asthma and epilepsy are at risk of suffering certain anxiety-triggered attacks. People who are obese or suffer from sleep apnea should talk to their doctor before undergoing sedation. To learn more about our sedation dentistry services and find out if they might be right for you, please contact the office of Dr. Paul Sussman and Dr. Meredith Pogal today by calling 585-227-4390 or by completing the form on this page. We welcome patients from Rochester, Greece, Webster and surrounding areas of New York. For tooth-loss sufferers in Webster and Rochester, both dental implants and bridges can provide exceptional relief: a better smile, easier chewing and improved speech. However, neither option is ideally suited for every person in every situation. Look and Feel: Dental implants feel better when chewing and look more natural. Strength: Unlike bridges, implants help relieve stress on individual teeth by distributing chewing force to your jaw. Maintenance: You can continue to brush and floss just like you always have, without the need of specialized tools. Longevity: Once an implant is secured, it will not decay or need to be replaced. Price: At the beginning, bridges are less expensive than implants. However, future-care costs can offset the initial savings. Time: Treating tooth loss with a bridge is usually completed within a few visits, and recovery time is generally much shorter than with implants. Non-invasive: Bridges very rarely require surgery. Versatility: Healthy bone is required to properly position implants. However, in cases of significant jawbone damage or loss, bridges are preferred. For our patients in Fairport, Greece and Rochester, dental implants offer an ideal solution for tooth loss. Contact the office of Dr. Paul Sussman and Dr. Meredith Pogal today by calling 585-227-4390or by completing the form on this page to schedule an appointment. The Center for Cosmetic Dentistry welcomes patients from Webster and nearby areas of New York. Since 1981, the Center for Cosmetic Dentistry has helped patients from Rochester, Webster and Fairport alleviate their TMJ symptoms. The most commonly reported symptom of TMJ is an intense, recurring headache. Mouthguard: A ready-made plastic guard usually worn on the upper teeth while you sleep to prevent nighttime teeth grinding. Custom Orthotic Device: Similar to a mouth guard, but custom designed to shift your lower jaw and properly align your bite. TENS Unit: A device that discharges small electrical currents which relax your jaw muscles and reduce pain. Orthodontics: The use of braces, retainers or other treatments to correct teeth and bite alignment. Full Mouth Reconstruction: Comprehensive oral treatment which can include bridges, crowns, implants and more. If you live in Rochester, Webster or Fairport and suffer from common TMJ symptoms, call 585-227-4390 or complete the form on this page to schedule an appointment. The Center for Cosmetic Dentistry welcomes patients from Greece and nearby areas of New York. For many of our patients in Rochester and Fairport, a cosmetic dentist offers a sense of confidence and relief. Cosmetic dentistry has a simple goal: to give you the best smile possible. Our cosmetic dentists aren’t just qualified oral experts, they’re artists. They use creativity and imagination to develop the aligned, lustrous smile you deserve. While good oral health is a critical element of your general health, a beautiful smile can be vital to your self-confidence, public impression and professional relationships. The American Dental Association found that the majority of Americans consider a person’s smile to be their most important physical feature, outranking eyes, hair and body. Whether you’re considering a single treatment or a comprehensive smile makeover, our cosmetic dentists, Dr. Sussman and Dr. Pogal, offer several options to match your individual needs. Teeth whitening: Despite a consistent cleaning regimen, teeth can stain over time. Our teeth whitening process can brighten your teeth by eight to 10 shades in an hour or less. Porcelain veneers: These incredibly thin, remarkably strong coverings rest over the front of your teeth. They are painstakingly crafted to correct imperfections such as severely discolored or gapped teeth. Porcelain crowns: Due to porcelain’s ability to be sized, shaped and colored to match your existing oral structure, porcelain crowns blend seamlessly into your smile, covering damaged or vulnerable teeth. Tooth-colored fillings: These modern, convenient fillings are an attractive way to maintain the original color and attractiveness of your smile. Dental bonding: This procedure offers a quick and inexpensive way to improve your smile by bonding a special tooth-colored resin material to your existing teeth. If you live in Rochester or Fairport and would like to learn more about how a cosmetic dentist can help you, contact the office of Dr. Paul Sussman and Dr. Meredith Pogal today by calling 585-227-4390 or by completing the form on this page to schedule an appointment. We welcome patients from Greece, Brockport, Webster, and more.